To a Parisian, a fun day can naturally end in the district of Saint-Germain. This tour shows you why. 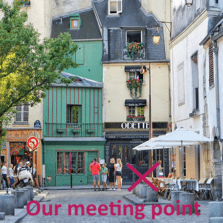 This tour mixes great landmarks and picturesque small corners: Saint-Germain-in-the-fields, Pont neuf, rue de Buci, and so on. 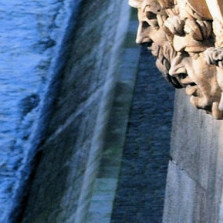 Your guide will also walk you to scenic spots along the river Seine, and to side streets filled with peace and quiet. You will learn why jazz, art-house cinema, and politics, are all so popular in Saint-Germain. And your guide will engage you in Saint-Germain’s favorite past-time: the fine art of conversation. What makes Parisians tick? What do they think about your country? And what’s hot this week – and what’s not – in Paris?! Saint-Germain is a good place to give your night in Paris a head start. To see more on this walking tour, we do not spend time going inside each building. Art and literature: Cyrano de Bergerac, Simone de Beauvoir, the birth-place of Guernica: Picasso’s greatest work? 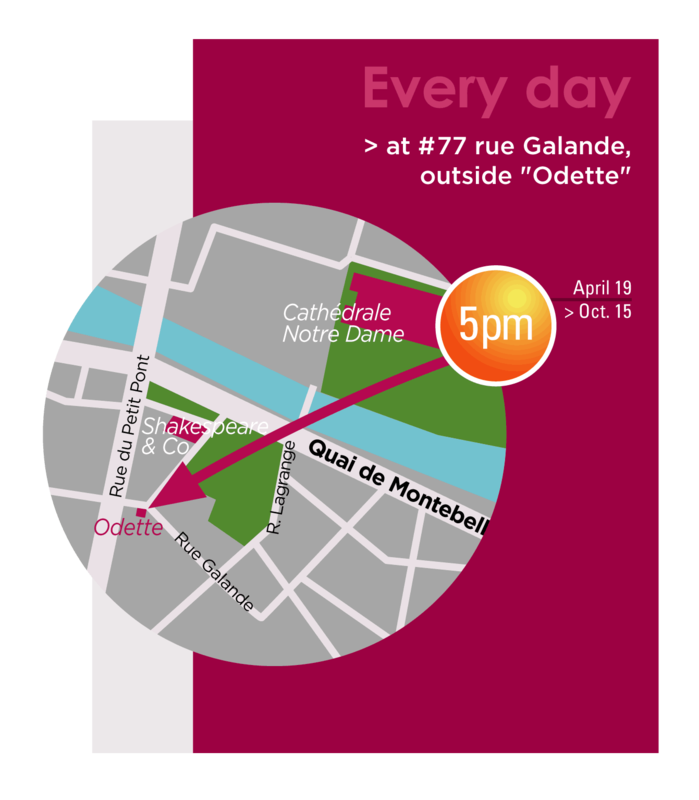 Saint-Germain and the River tour runs every day rain or shine at 5pm from April 19 through October 15. Groups of 8 and more, please book. In the interest of all guests, we reserve the right to turn down large groups without a reservation. We also advise large parties to book a private tour. 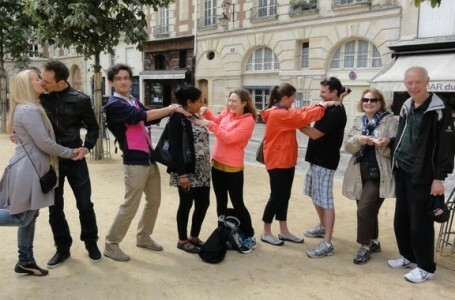 The real question is: why wouldn’t you take this tour to complete your day in Saint-Germain? This is a free walking tour where you pay the guide what you want at the end of the tour. Advanced reservations are not required, and walks-ins are always welcome. Be at the tour meeting point 5 minutes early. If you wish to book in advance, use the booking calendar on the left side of this page. Families, groups of friends, and school groups often book a private guide for this tour. From €125, depending on group size and tour duration. This tour of Saint-Germain is wheelchair accessible.